It's all about everything a Malaysian techie journey! And now we are busy, tired men. And that’s what we get and deserve in the end. If you love or like someone, tell them. Don’t be afraid to express yourself. Reach out and tell someone what they mean to you. Because when you decide that it is the right time it might be too late. Seize the day. Never have regrets. And most importantly, stay close to your friends and family, for they have helped make you the person that you are today. 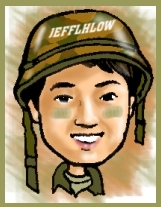 jefflhlow is my personal initial. I am a fast learner especially in Information Communication Technology and Computing. I grow a deep passion in adopting fast growing technology, ever creative design and everÂ changing programming method. I am active in sports especially paintball had been my great passion. Paintball is the only sports I have always wanted to excel and growth with. I love my family and putting them first inÂ everything.